Fall is near, or if you have been to Starbucks lately, you probably believe that fall is already here as they are brewing up our yearly obsession of the Pumpkin Spiced Latte. With each passing day, the sun rises in the east later in the morning causing a slight chill in the air. One of the ways to keep warm would be to jump in your car and make the long trek through a Starbucks drive-thru to order your PSL. Or there is another option out there. Merino Wool. Specifically, Super.Natural Merino Wool. And their wool, is NOT your mother’s wool. I started to pick up running this spring, my running gear consisted of a short-sleeved shirt and shorts. I was not ready for the colder mornings that fall and winter brings to the Midwest. The moment that I slipped on the Super.Natural 1/4 zip base layer as I headed out for an early 50 degree morning run, I could feel just how comfortable my run was going to be. As I was out on the road, my feet hitting the pavement, I did not feel a chill at all. I was very comfortable but cautious because I tend to get extremely hot when I am running, no matter the temperature. Running around the trails in our small town as the sun rose I was expecting to be drenched in sweat. I wasn’t sure exactly what kind of weather I should wear the base layer in. I have never been one to layer up during a run, even when I ran cross-country in high school. I rounded the corner home and looked down at the shirt and to my surprise, the only place that I could tell there was sweat was right in my elbow pits. Something else shocked me, I couldn’t feel the sweat on my skin. 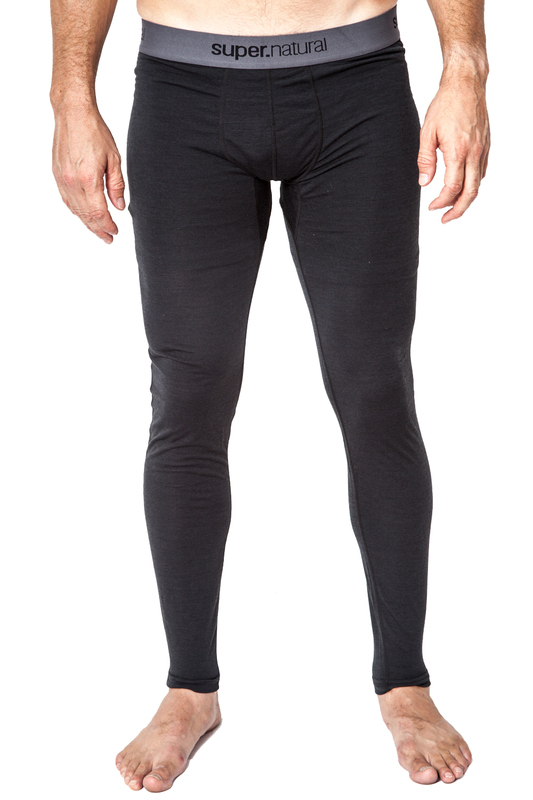 When Super.Natural says that their Merino wool is moisture wicking, they mean it! Just the other morning, it was misting and I figured I would really put the moisture wicking to the test. A mile and half into my three and half mile run, I was bone dry! I’d also like to note the zipper that the base layer has. It is a stiff zipper so that it isn’t bouncing up and down hitting your neck or chin as you run. This a nice touch! Not only does Super.Natural make tops that are incredible, they also make an incredible base layer tight to keep your legs warm. I wore these on a recent camping trip where the night-time temperatures dipped to the 40’s. I remember camp outs when I was in Boy Scouts when I spent the night freezing because then, I still had not learned to layer clothing to stay warm. Now, this camp out was different. I wore these under my pants and was as comfortable as I could be. I don’t remember thinking I was cold once during the night. 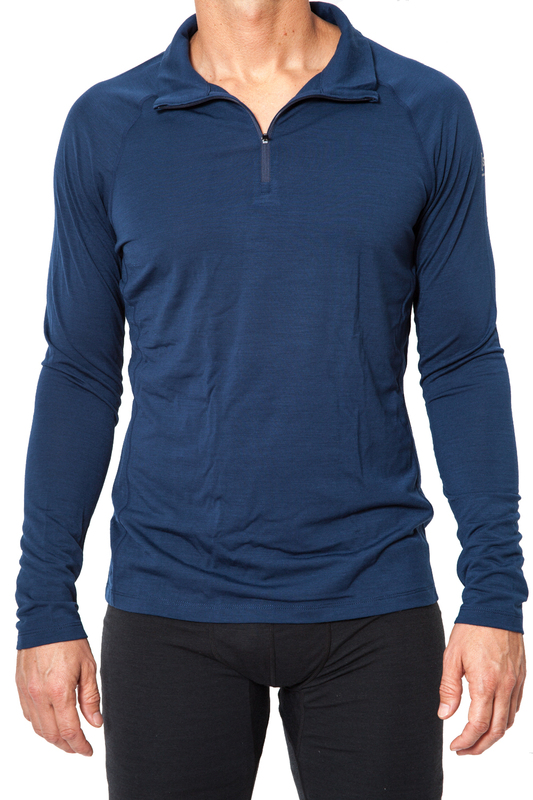 Having been someone who would usually just wear long sleeves without something under it in the fall, the Super.Natural base layers will be a nice addition to my wardrobe. They look cool and function great. The Super.Natural Merino Wool line of clothing will reach store shelves on Oct. 1st, and I will be one of the first ones to order a couple more of the tops and pants to keep me warm and dry throughout the fall and winter. Super.natural did provide The Rookie Dad with both the 1/4 zip base layer and their base layer tight to review for this post. My review was not influenced by the products that the company provided me and the review is all my own. I'm A Blogger, Damn It!